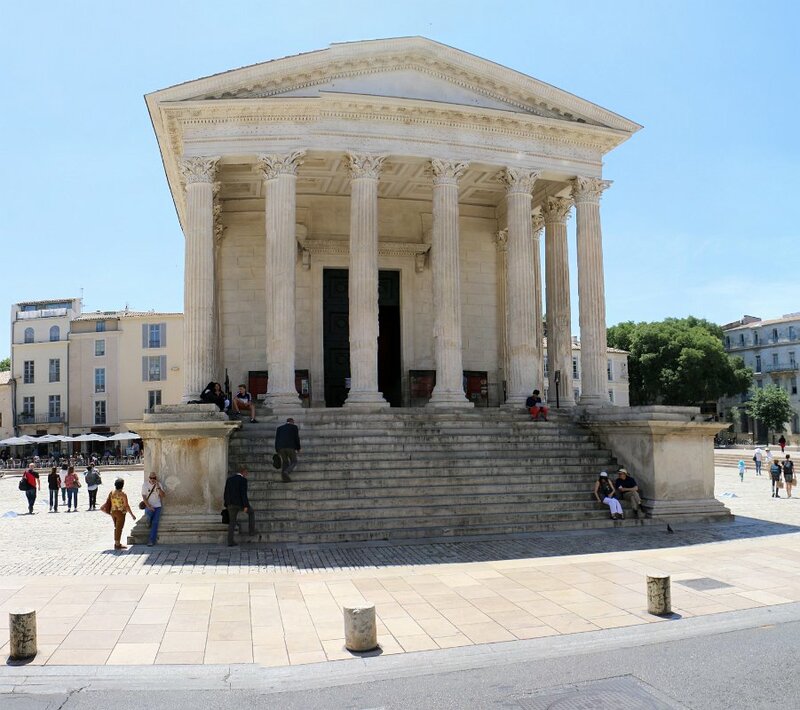 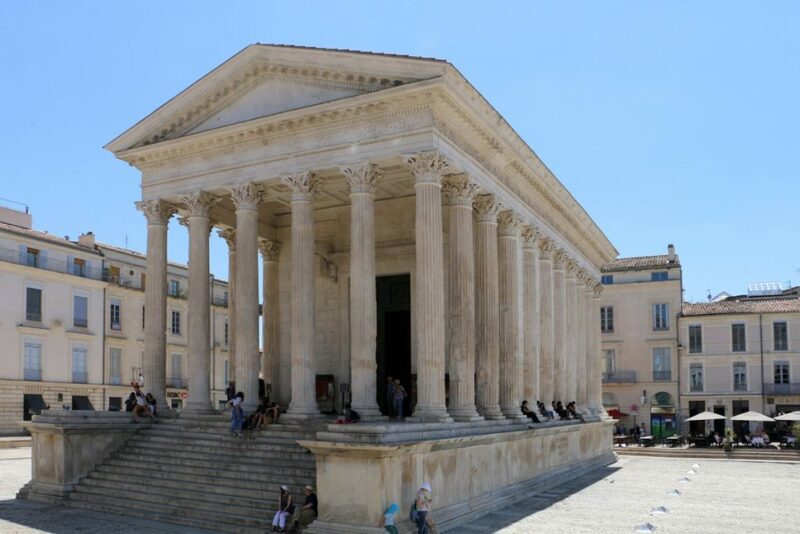 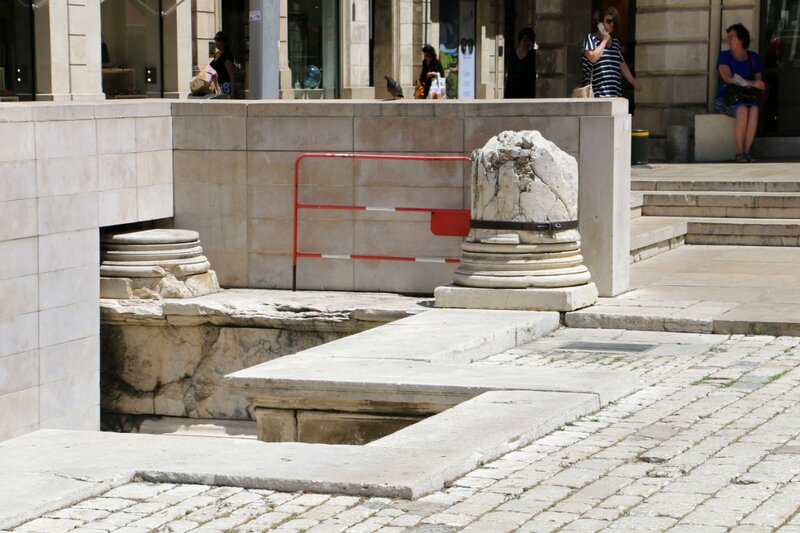 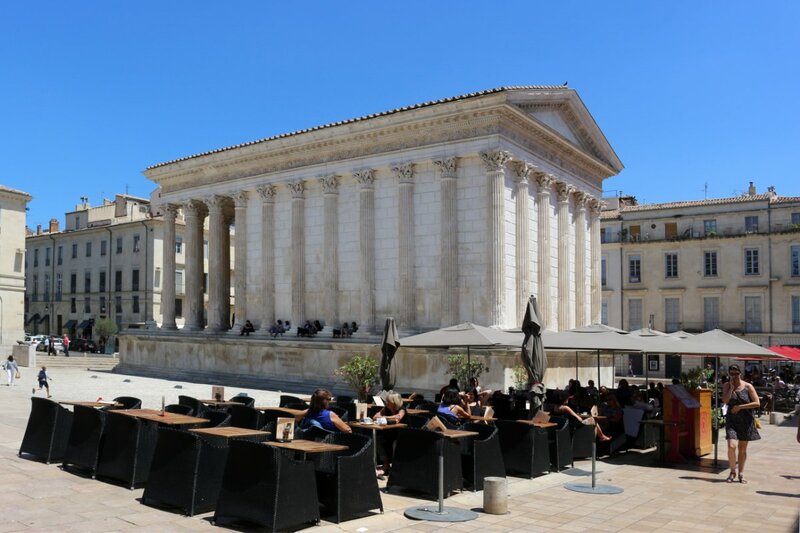 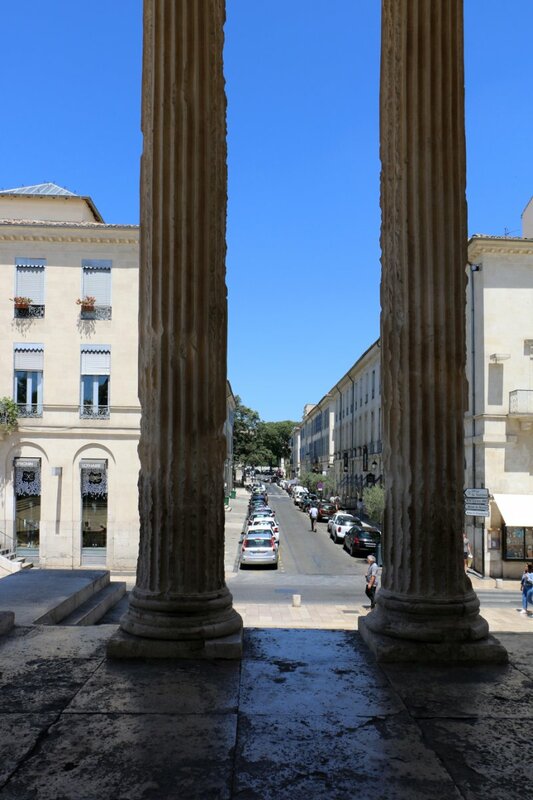 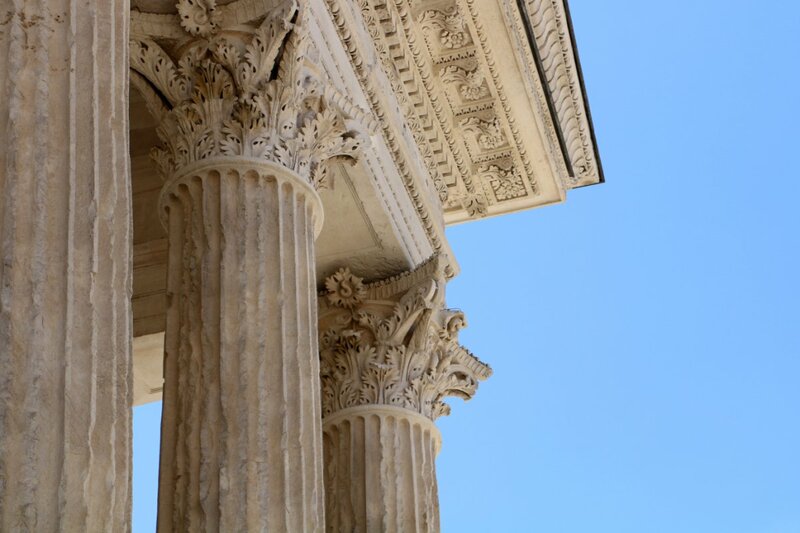 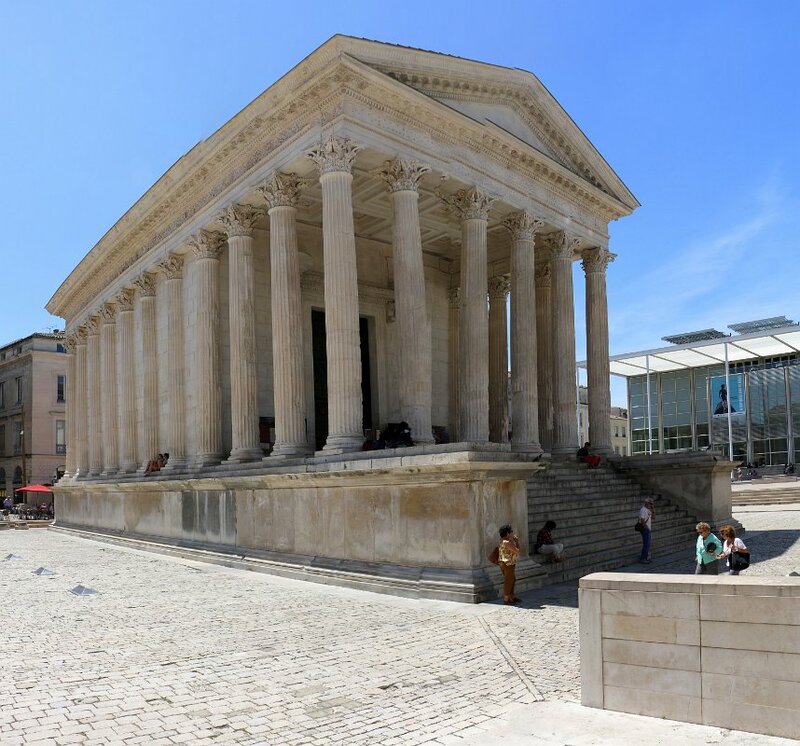 In about 4-7 AD, the Maison carrée was dedicated or rededicated to Gaius Caesar and Lucius Caesar, grandsons and adopted heirs of Augustus who both died young. The inscription dedicating the temple to Gaius and Lucius was removed in medieval times. However, a local scholar, Jean-François Séguier, was able to reconstruct the inscription in 1758 from the order and number of the holes on the front frieze and architrave, to which the bronze letters had been affixed by projecting tines. 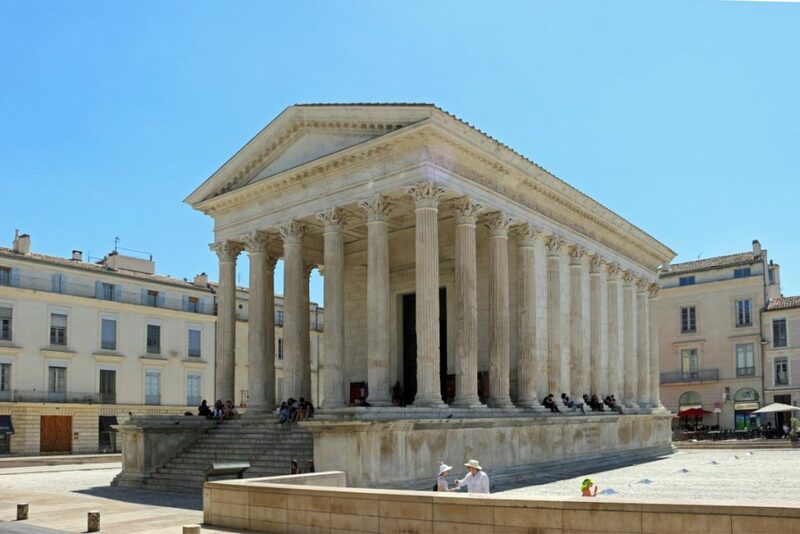 According to Séguier’s reconstruction, the text of the dedication read (in translation): “To Gaius Caesar, son of Augustus, Consul; to Lucius Caesar, son of Augustus, Consul designate; to the princes of youth.”. 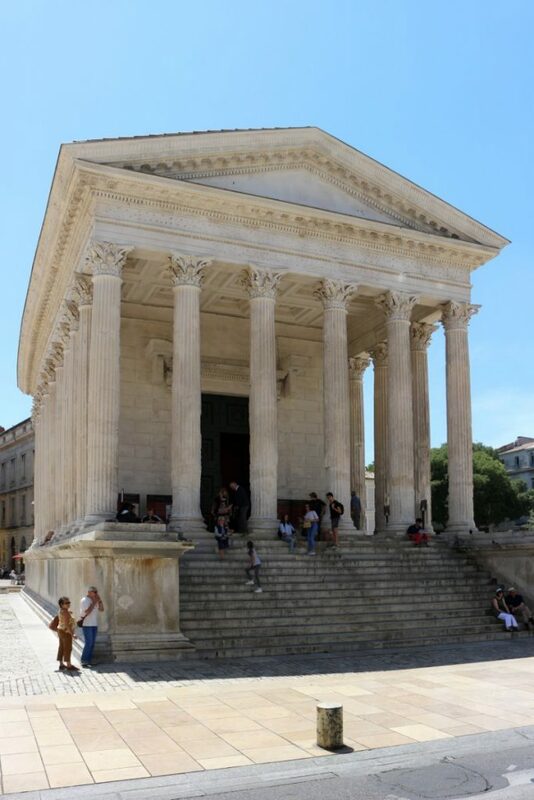 During the 19th century the temple slowly began to recover its original splendour, due to the efforts of Victor Grangent. 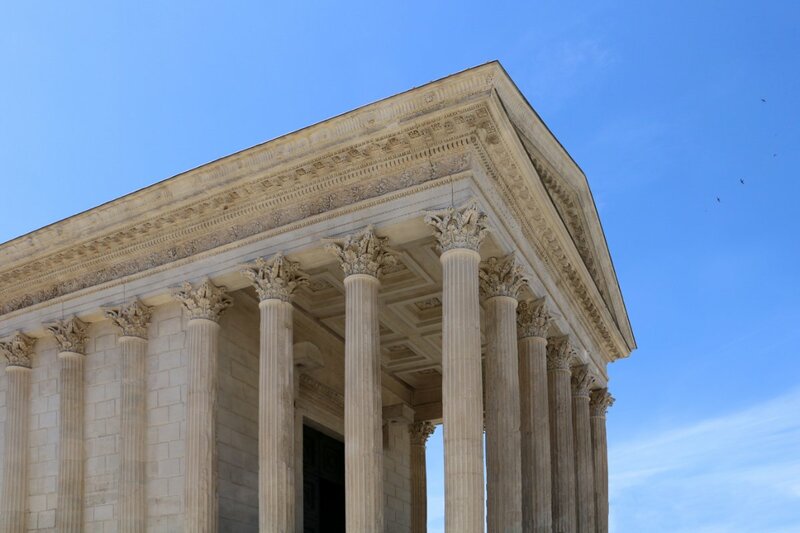 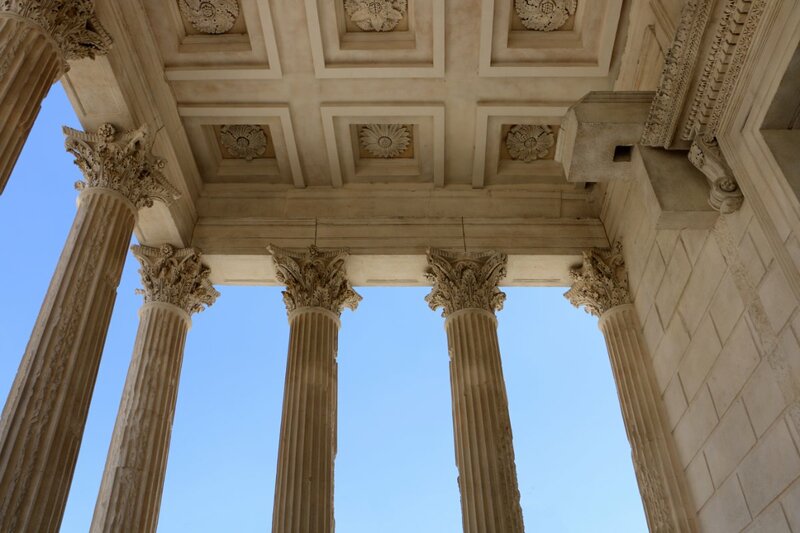 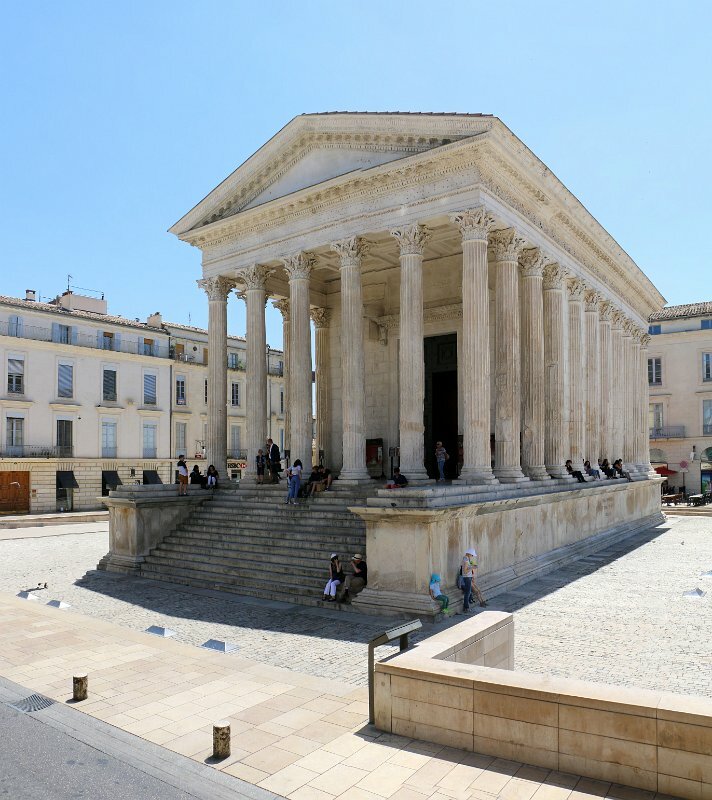 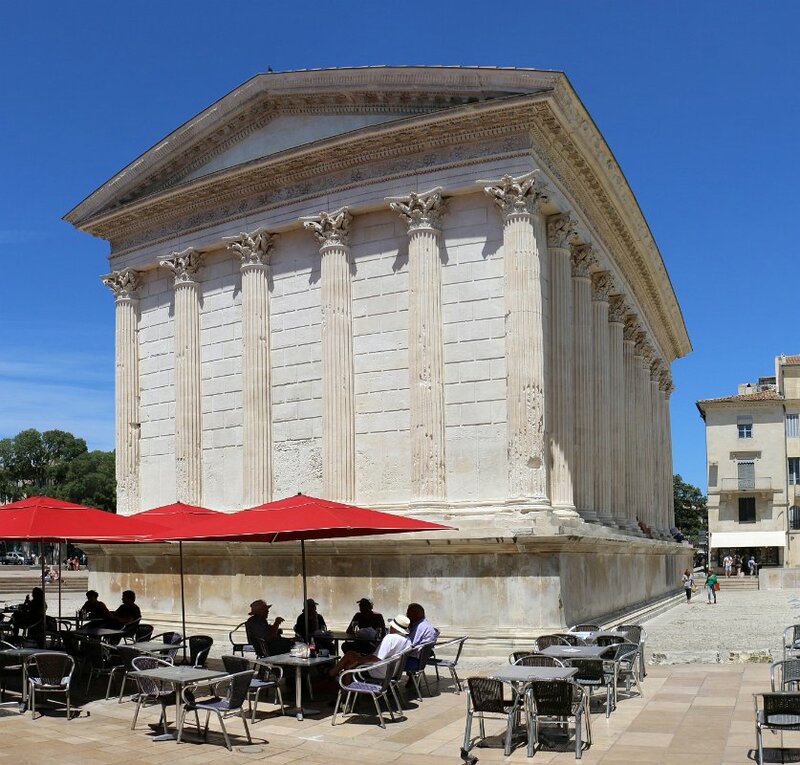 The Maison Carrée is an example of Vitruvian architecture. 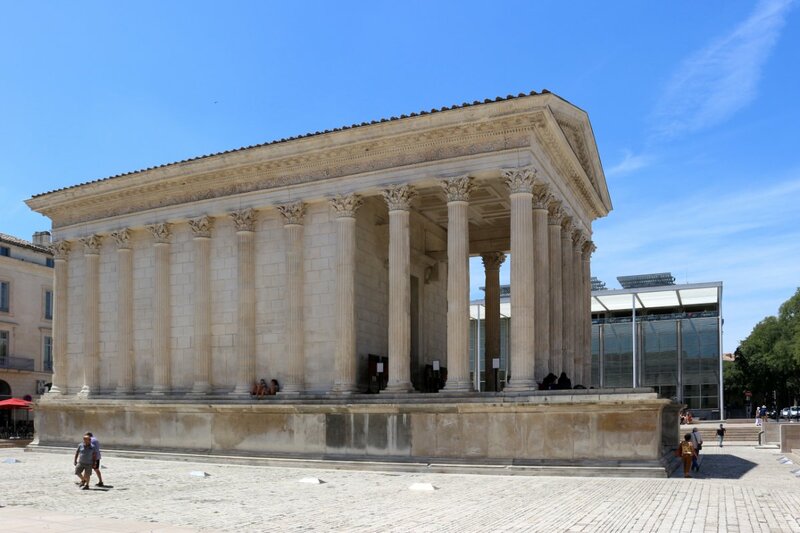 Raised on a 2.85 m high podium, the temple dominated the forum of the Roman city, forming a rectangle almost twice as long as it is wide, measuring 26.42 m by 13.54 m. The façade is dominated by a deep portico or pronaos almost a third of the building’s length. 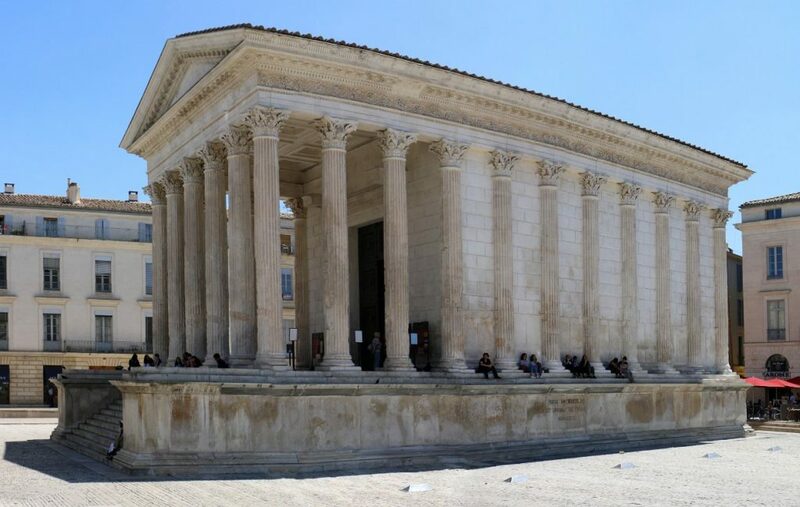 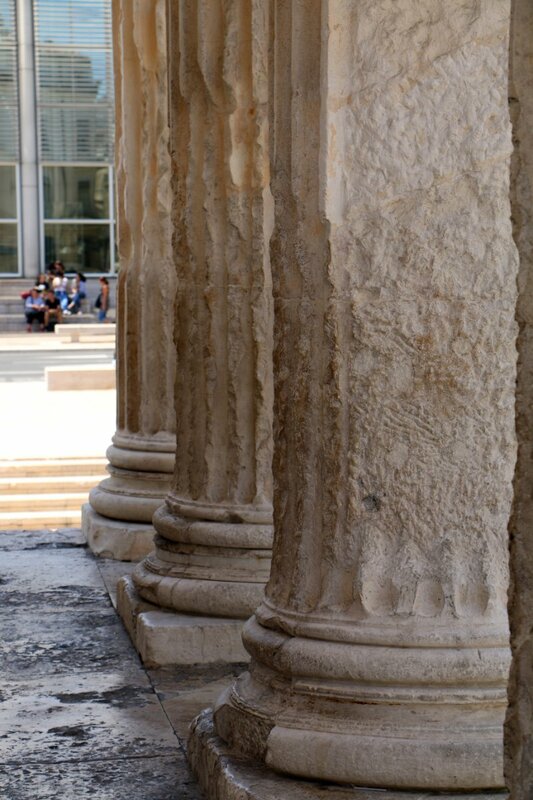 It is a hexastyle design with six Corinthian columns under the pediment at either end, and pseudoperipteral in that twenty engaged columns are embedded along the walls of the cella. 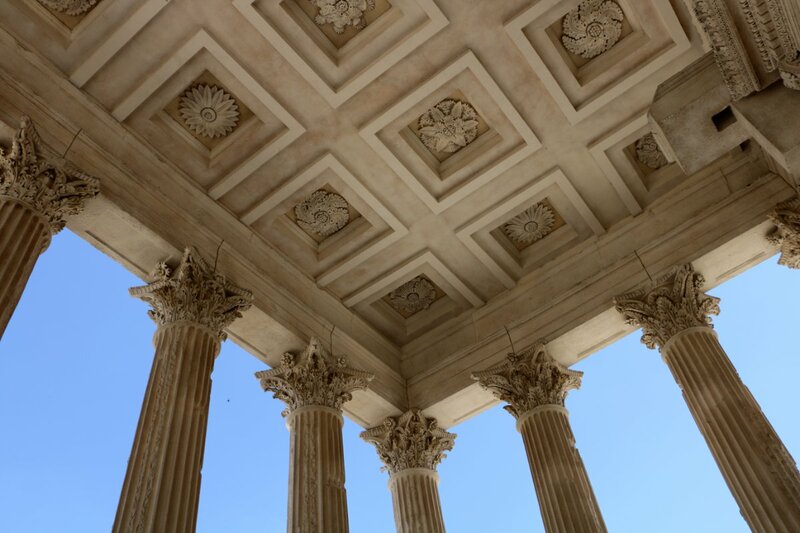 Above the columns, the architrave is divided by two recessed rows of petrified water drips into three levels with ratios of 1:2:3. 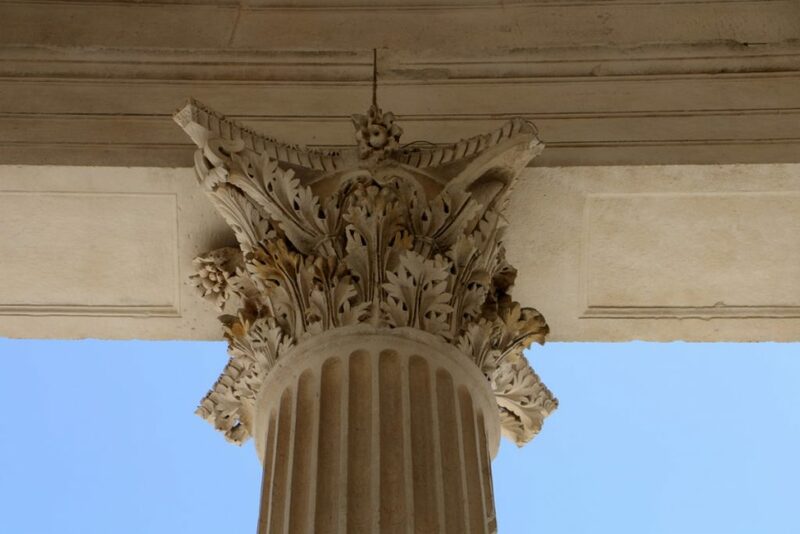 Egg-and-dart decoration divides the architrave from the frieze. 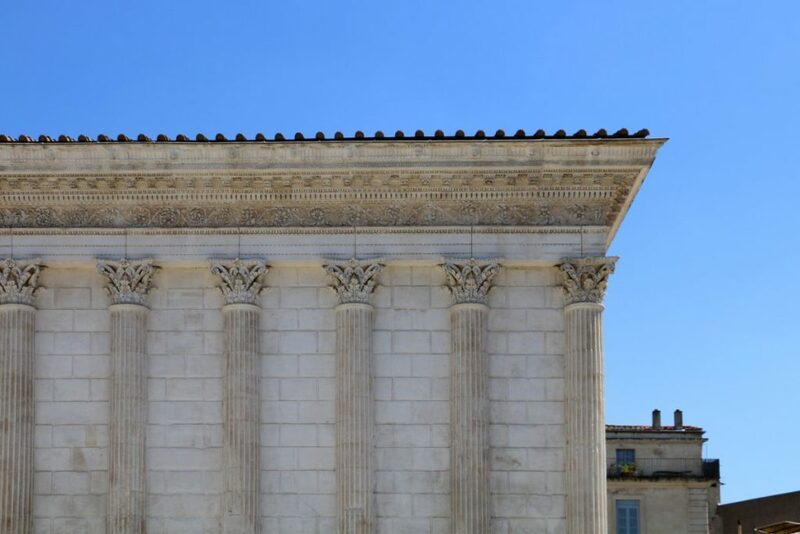 On three sides the frieze is decorated with fine ornamental relief carvings of rosettes and acanthus leaves beneath a row of very fine dentils.